Dubai-based Bebuzzd, a mobile-based application, operating on both iOS and Android platforms, is a one stop loyalty programme marketplace for users, and a customer engagement and acquisition platform for businesses. Usrati offers unparalleled benefits to members including a large number of deals and offers, emergency flight ticket coverage and exclusive promotions, said a statement. 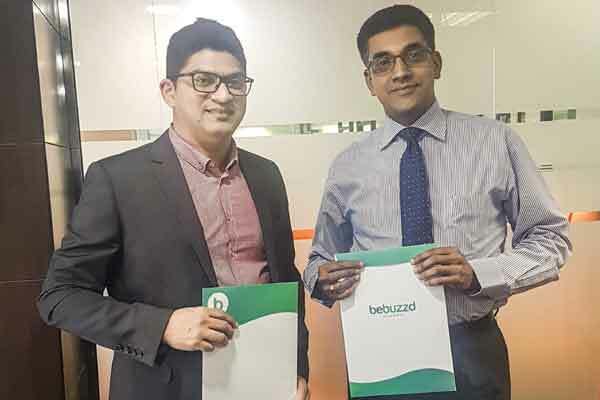 As a part of this partnership, Bebuzzd will power Usrati’s deals section, which allows clientele to earn and redeem points for numerous rewards across the UAE, for their regular transactions with Sharaf Exchange, it said. This partnership between the companies makes Usrati a comprehensive benefits programme. Bebuzzd technology assists Sharaf Exchange in building customer relationships and retaining loyal customers. For every regular customer transaction, Sharaf Exchange customers can earn Sharaf Points within the Bebuzzd app. These points can be easily redeemed to get rewarded with choices from over 400 selected Bebuzzd-partner deals. “Our partnership with Bebuzzd provides an excellent technology platform, to operate Usrati in a simple and easy manner, while keeping it the best in value for customers,” he said. “Sharaf Exchange has its network of branches at high end streets and major public places such as malls and airports, thus providing a range of choices at the most competitive rates in remittances and currency exchange. Associating with such a valued brand will be a great addition to our current clientele,” he said. The Bebuzzd ecosystem consists of a manager level app, a store app and a customer app. Customers receives offers and rewards from merchants who have joined the Bebuzzd programme. The advanced technology used by Bebuzzd enables clients to customise their offerings on the basis of customer preferences with their brands. It allows businesses to promote their products and services through the app, with just a click.